The lasers used in these experiments must have excellent performance in terms of noise and stability. Stable optical lattices and low temperature optical traps are strongly dependent on laser noise, power stability, mode stability and beam pointing stability. Compromise on one or all of these parameters can lead to unwanted atom heating and loss of or reduction in lattice contrast. 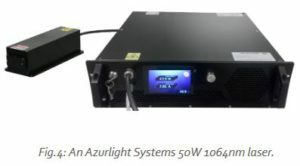 Azurlight Systems offers industry leading performance across all of these parameters making the lasers best in class for a wide range of low temperature physics systems. Why Azurlight Systems lasers are a perfect fit for atomic physics experiments?